THANK YOU Pathfinder families & friends! Our fundraiser raised $2200, all to be spent on favorite books! Take care of the books and return them on time so that others can read them. Use quiet voices. Listen while others are talking. Leave the library like you found it. Don’t forget your things! Follow the steps right up to the library, located above the hub of our school. You're welcome to come in if the lights are on! 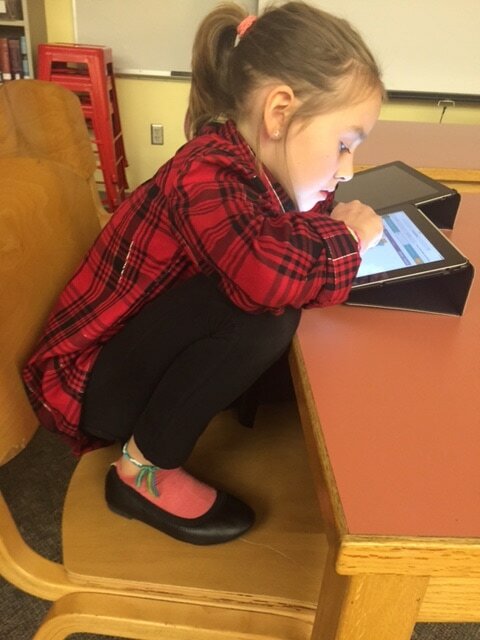 Students and their families are invited to read, to use the computers, or to access any of our resources. Visit after school, or see the student open library schedule. Every class visits the library every other week for book check out. Books circulate for two weeks and may be renewed. There is no charge for overdue books, but it is school policy that the library is reimbursed for lost or damaged books. See Ami for more details. During the week I also partner with the teachers on curriculum projects or expeditions. Class buddies are frequent library visitors. Volunteers are a key ingredient to a vibrant library. I hope you’ll stop by to say hello, and stay to help if you’re free.